The housing market has no hope of recovering until people start to put out their "For Sale" signs again. Despite some early signs that house prices are rising, many sellers are afraid they won't get a good price for their property, as it's a buyers' market out there. In fact, while buyers do hold the advantage, competition among sellers is not huge – Hometrack reports that over the past three months, the number of buyers has grown by 32 per cent, while the number of new homes available has risen by less than 10 per cent. If you do want to sell, securing viewings is your first battle. To succeed here, it can be worth speculating a little on home improvements, and following expert advice rather than throwing thousands at a new kitchen. House doctors, stagers or stylers are not the preserve of those selling multimillion pound properties in Chelsea. There are professionals who will visit your home for less than £100 and help you make your property the most attractive sale prospective in the area. "I don't believe you need to do a full interior design job, and I would advise against spending a large amount on anything, such as replacing an entire kitchen or putting in a large conservatory," says Lynn Pick of Home Stylers. Pick says the initial work is about cleaning, decluttering and "neutralising" the house, by which she means removing anything personal, such as photographs. She advises clients to spend between one and two per cent of the value of their property, some of which you could carry forward to your next home – new furniture, for example. Estate agents Savills have an interior services department, which liaises with clients having trouble selling, but its director, Simon Buhl Davis, says any outlay is always determined on a case-by-case basis. "You do have to put some money in to get some money out. Spending won't add value, but it will help you sell." He agrees with Pick that a reshuffle and a few hundred pounds might be all that is required, and says first impressions are everything. "From the moment someone walks up the street to the building they are taking notes," he says. "It's got to be ticking boxes straightaway – no weeds, peeling paint or scuff marks in the hallway. Clean, clean, clean and make sure there is a lot of light. Use mirrors to reflect light if necessary. A lot of it is psychological." Do you need an expert to impart this sort of common-sense advice? Buhl Davis says he provides an "objective eye". If you love your own home, it can be difficult to imagine why anyone else might not. 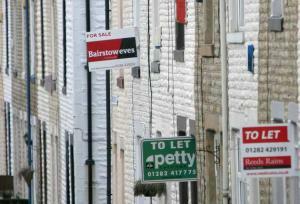 Naomi and Peter Jones are about to put their three-bed terrace close to Leeds on the market. They had already decided to fix the crumbling front steps and paint the fences to give viewers a strong first impression, but spending money earmarked for a new house on costly improvements seemed like an unnecessary expense. When Anita Richardson, a home stylist who runs House Wow Ltd, a nationwide network of interior stylists, came to visit, she said the first hurdle was to market the property effectively in estate agents' photographs and online. "People live in the way in which they're comfortable," she says. "They don't think about marketing the house as a product. If you were selling a car for £2,000, you would wash it and replace the bald tyre." Richardson says the worst thing you can do is "test" the market before changing anything at all. But lots of sellers do this, and miss the best buyers as a result. Savvy buyers know how long each property has been on the market, and will avoid somewhere everyone else has turned down. Make each viewing as memorable and hassle-free as possible. We might spend longer making our minds up over a pair of shoes than a £300,000 home, so make your property stick in buyers' minds. To do this, says Richardson, you must exploit its potential. She suggested the couple buy some patio furniture to sell an outdoor lifestyle. Buy cheap accessories such as cushions and co-ordinating ornaments and do any small jobs – for the Jones's property, this means fixing the tatty splashback behind the kitchen sink, replacing the peeling paper on a bedroom ceiling and buying a better light fitting for their living room. In total, Richardson recommended a spend of £800 on the house, which has been valued at £165,000. Richardson stresses that the outlay need not be huge. When she was called in to work on an £850,000 penthouse in Leeds city centre last summer, which had been on the market for two years, she spent £1,000 adding small accessories such as plants, glassware, towels and books – very soon there were two offers at full price. "A well presented property just does sell better," she says. "You are selling a lifestyle and buyers will think they can lead the stylised life you show them on a viewing." * Tidy up all clutter and move excess furniture into storage. * Get any small jobs seen to, even if it means getting a joiner in for the day. A wonky shelf will make a buyer wonder what else needs work behind the scenes. * Check prices before renting furniture and other props. It may be more cost effective to buy items for your new home in advance.